Aunty had promised me an ice cream for being a good boy at Clyne Gardens, and never one to miss an opportunity of an ice cream I immediately accepted. 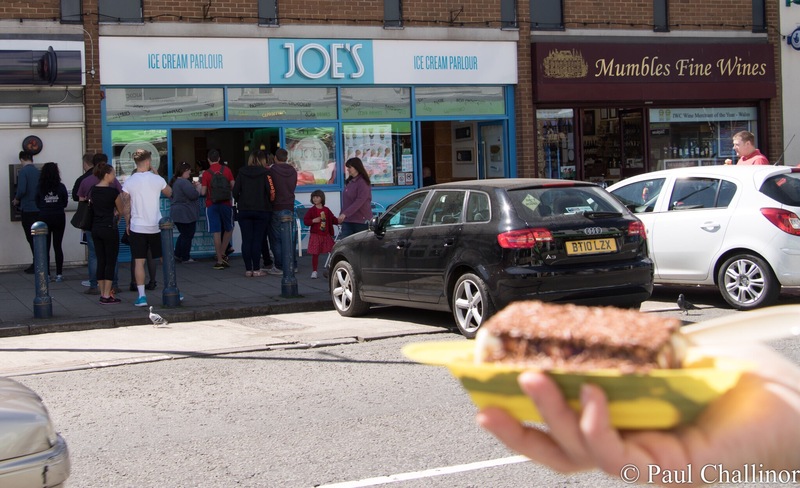 Just along the coast from the gardens is another of the Welsh 100 thing to do in Wales – “Have a North Pole From Joe’s” . I’d heard friends talk about Joe’s Ice Cream, but never had the chance to have one – Aunty is keeping a very close eye on my calorific intake. Back in 1898, Luigi Cascarini came over to Swansea from the Abruzzi Mountains in Italy. In the midst of the industrial era, Mr. Cascarini was shocked to find that there were no cafes open to accommodate the early workers of the Swansea valley. So Luigi decided to open up a workers haven where he would serve them rich roast coffee from the crack of dawn until the darkness of the night. He worked every hour of the day making his cafe such a success that soon he opened another…and…. another…and another. Before long, Luigi had opened a chain of cafes that his children ran with him. When his eldest son, Joe, was old enough he brought him over to Wales from Italy and Joe ran the cafe at 85 St. Helen’s Road. 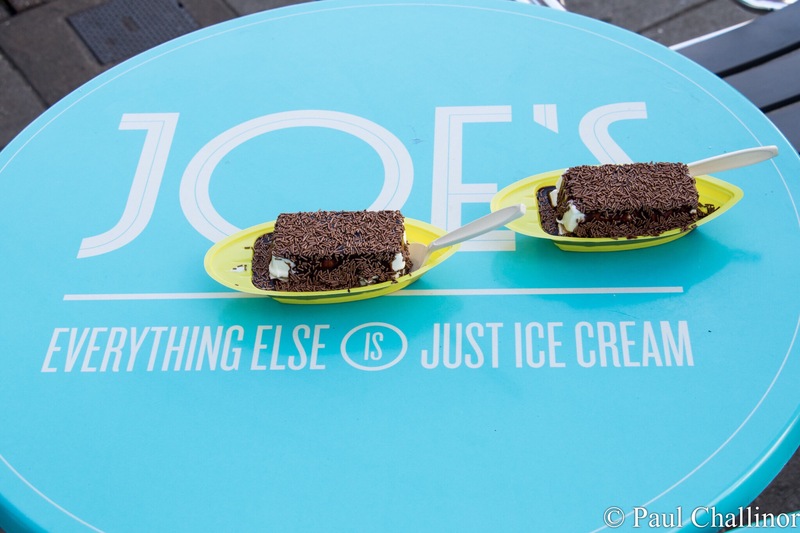 As a passionate ice cream lover, Joe Cascarini sought to add a truly Italian flair to the Welsh cafes, so following a secret recipe from his home in Italy, he sourced the finest ingredients in Wales and introduced to Swansea the most unique tasting, luxury, Italian ice cream. The recipe has remained essentially the same. And boy what a recipe it is. Our view as we ate the North Poles, looking towards Mumbles Lighthouse and Life Boat Stations. We sat on the sea wall and ate contentedly looking out over the bay towards the Mumbles Life Boat Stations. And boy did the ice cream hit the right spot. You’ve got to go there. The old life boat station on the left is no longer large enough for the new life boats, and are now launched from the new station on the right. Port Talbot Steelworks on the other side of Swansea Bay. Previous Previous post: Clyne Gardens. Welsh 100 – No 23.